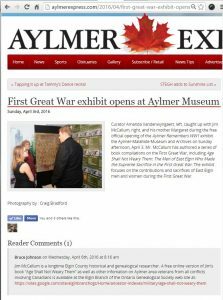 We are now linking service file images for Elgin County First World War Soldiers to our Age Shall Not Weary Them publication. 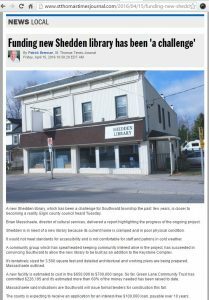 Posted on April 23, 2016 March 10, 2019 Author Bruce C. Johnson Jr.
It’s tentatively sized for 3,500 square feet and detailed architectural and working plans are being prepared, Massachaele outlined. 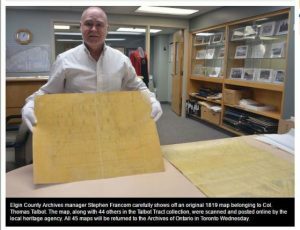 Posted on April 16, 2016 August 5, 2018 Author Bruce C. Johnson Jr.
A recent search of the word “Genealogical” in the St. Thomas Times-Journal turned up these articles pertaining to stories of local interest and past events of the Elgin OGS. 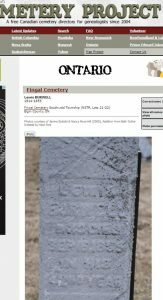 Oct 20, 2008 … The work was finished for the Elgin County branch of the Ontario Genealogical Society and is currently published in softcover. 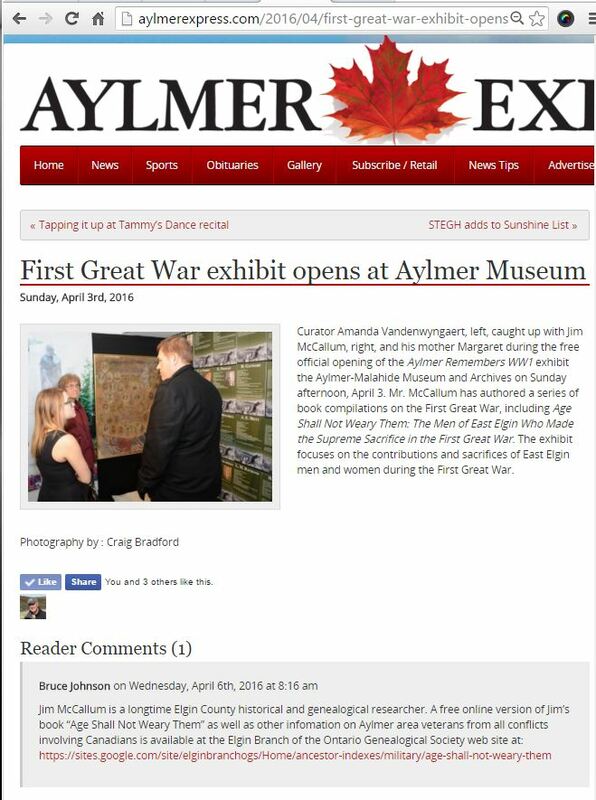 “It’s not my book,” ..
Mar 13, 2010 … … to FWIO President Joy Trimble, re: our Tweedsmuir History digitization of records and a future partnership with Ontario Genealogical Society. 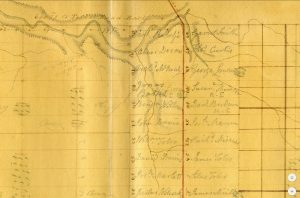 Feb 24, 2010 … “From a very small kid, I’ve always been interested in genealogy … He’s a charter member of Elgin Genealogical Society and a past president. Sep 25, 2014 … … that will turn an iPhone into a handy portable scanner that you can use for work , school reports, genealogical research, or recording receipts. 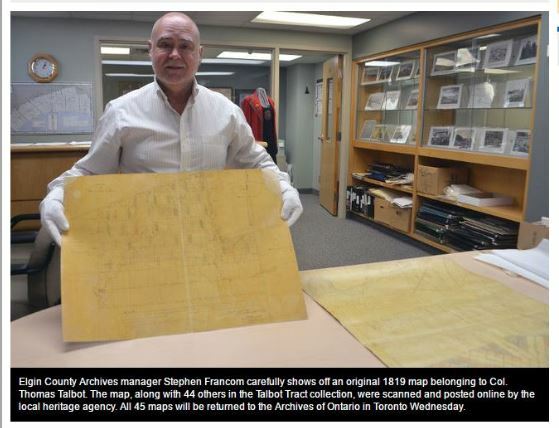 Feb 14, 2014 … From Talbot Times, the publication of the Elgin branch of the Ontario Genealogical Society, a report from the Times-Journal of the day:. Posted on April 4, 2016 August 5, 2018 Author Bruce C. Johnson Jr. 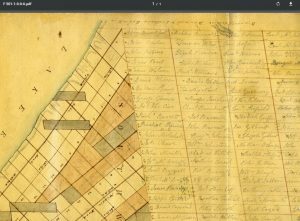 Many free online sources are now available for digital images of primary source documents for Elgin County settlers. 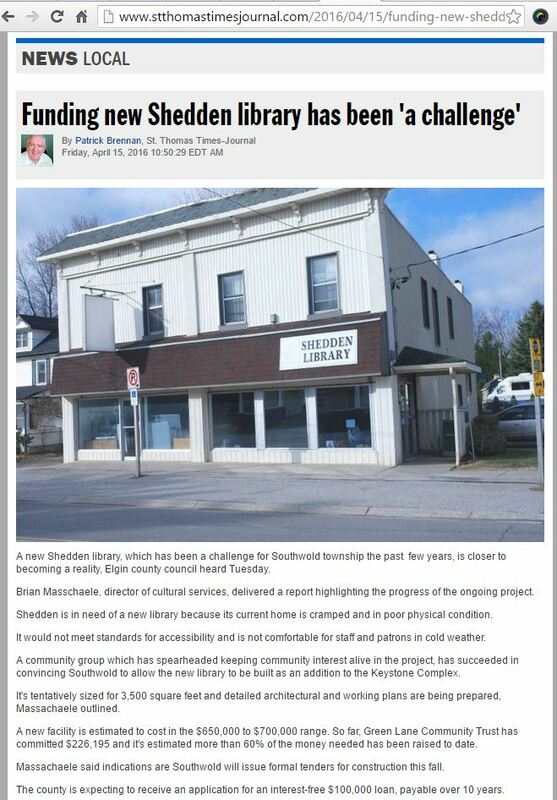 These images are now being linked to the appropriate names on the Elgin OGS web site. 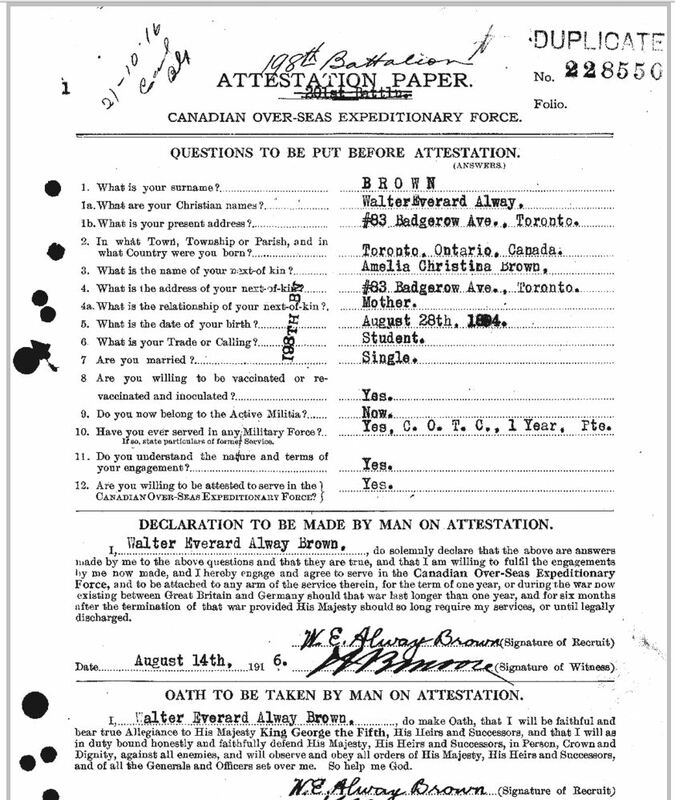 Here is an example for one Elgin settler. 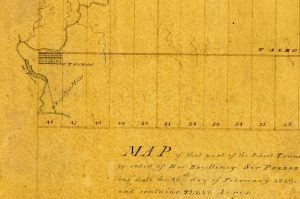 1819 Talbot Map, Archives Ontario, showing location of father, James BURWELL land and possible birthplace for son, Lewis BURWELL. 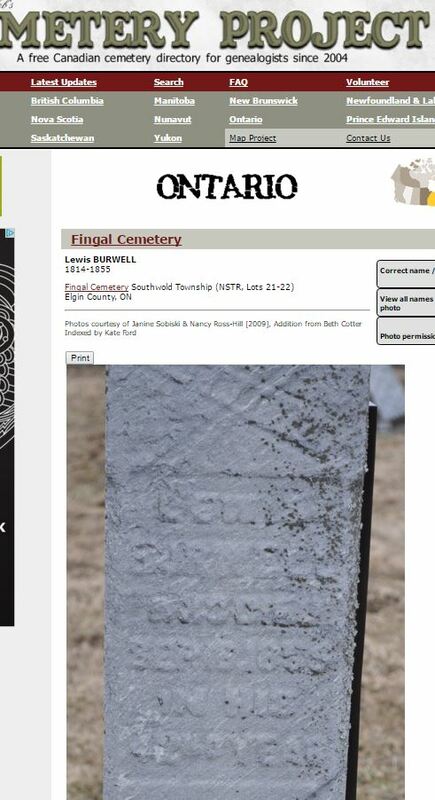 Google Maps location of Burwell Farm. 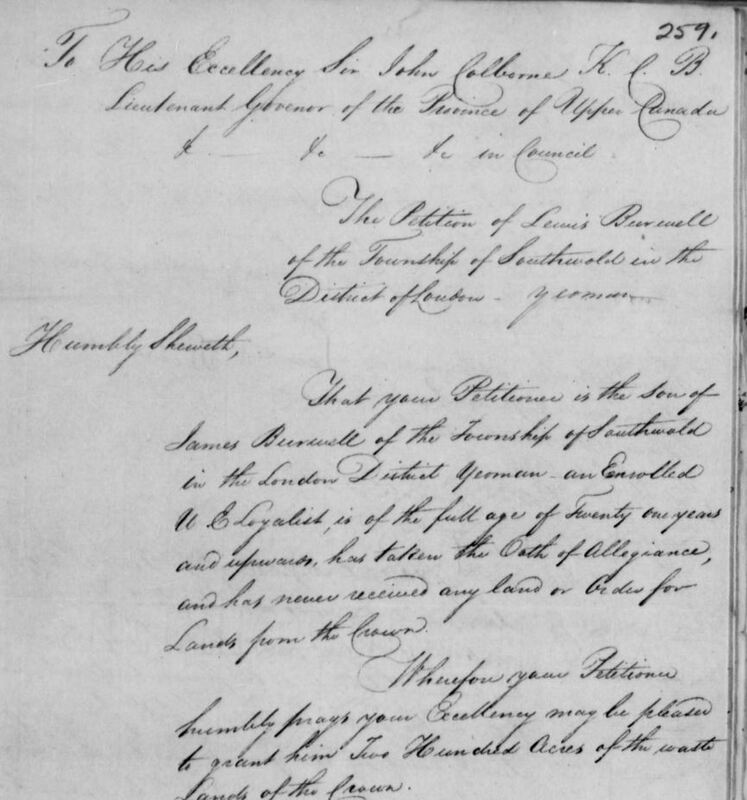 183 4 Upper Canada Land Petition, Library and Archives Canada, Lewis BURWELL, C1630, Petition B18, 259, pp. 36-40, SUE, of James BURWELL. 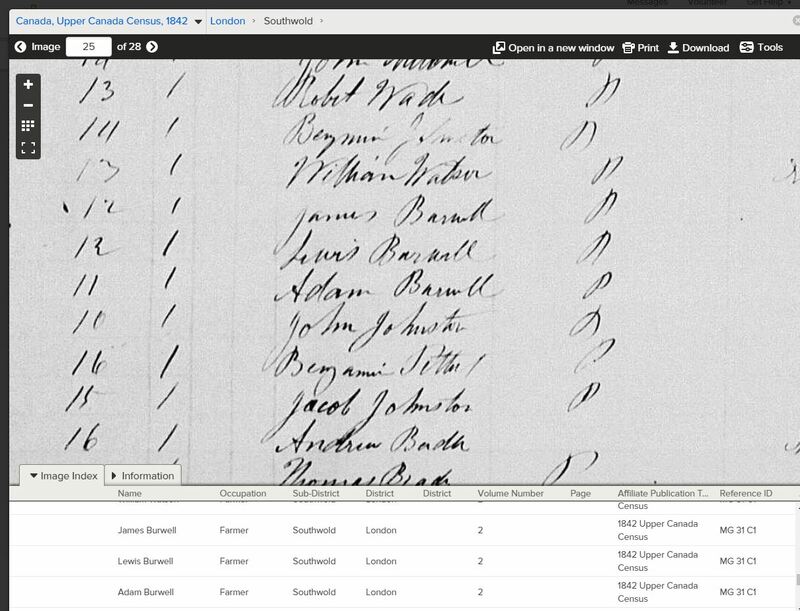 Southwold UCLP on the Elgin OGS web site. 18 34 Upper Canada Marriage Bond, Library and Archives Canada, Marriage Lewis BURWELL to Lavina WILLIAMS. 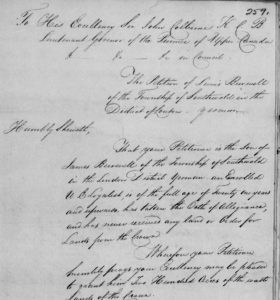 UC Marriage Bonds linked to Anglican and other marriages on the Elgin OGS web site. 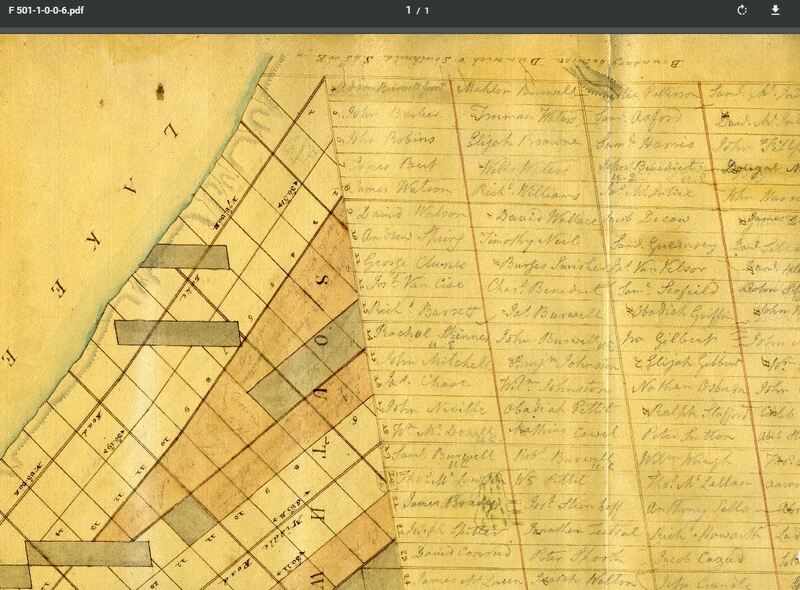 1842 Census image, FamilySearch, for Lewis BURWELL giving much agricultural data. 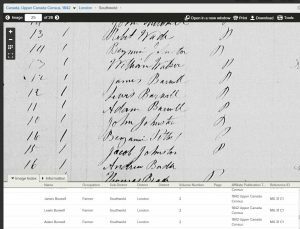 1842 census index for Southwold on the Elgin OGS web site. 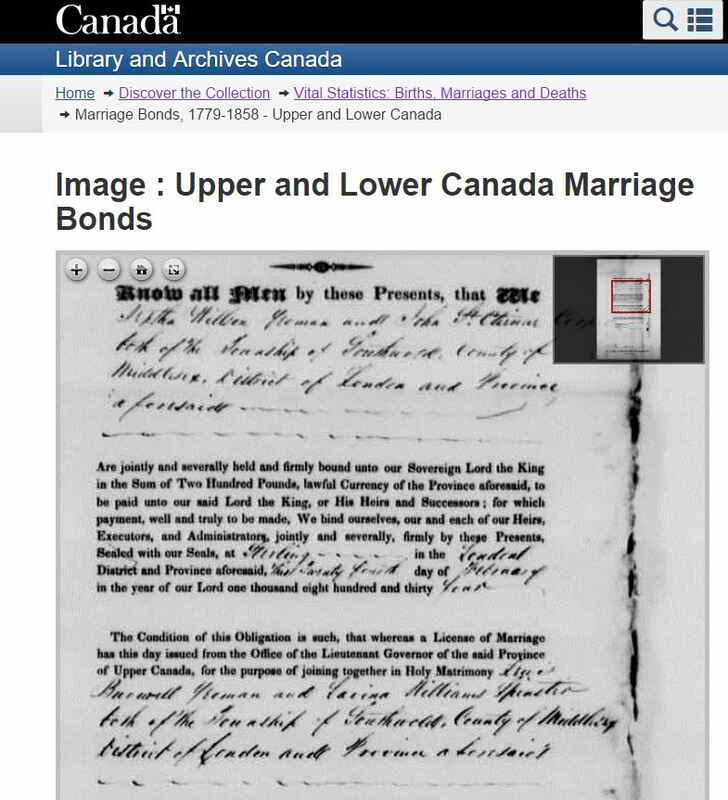 Posted on March 30, 2016 August 5, 2018 Author Bruce C. Johnson Jr.
Our extensive free online Ancestor Indexes of Elgin County newspapers makes it easy for distant researchers to quickly obtain images of clippings of marriage notices, obituaries and news items of Elgin ancestors. Noting our Lookup Policy ($10 for the first image and $5 for the second image for a total of $15 in this example) an email to our Research Coordinator and using our new easy convenient E-Store payment system we can then have our Elgin OGS Lookup Volunteers search the microfilm at the appropriate local library and soon provide you with images of the clippings like these! 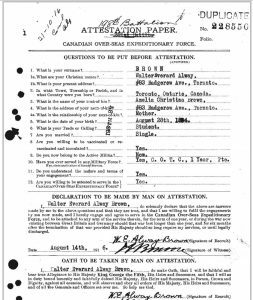 Posted on February 29, 2016 August 5, 2018 Author Bruce C. Johnson Jr.
Our guide on Researching your ancestors in Elgin County, Ontario, Canada is now available in pdf format. Posted on February 24, 2016 August 5, 2018 Author Bruce C. Johnson Jr.